Metro was compelled to hold a consultation meeting with HSR’s as a result of the OH&S Act. This meeting was held on the 25/2/15. The HSR’s came away from that meeting with a view that this was a stepping stone for Metro’s real agenda, which is main line operation for the second tier driver. A full report has been emailed to members today. 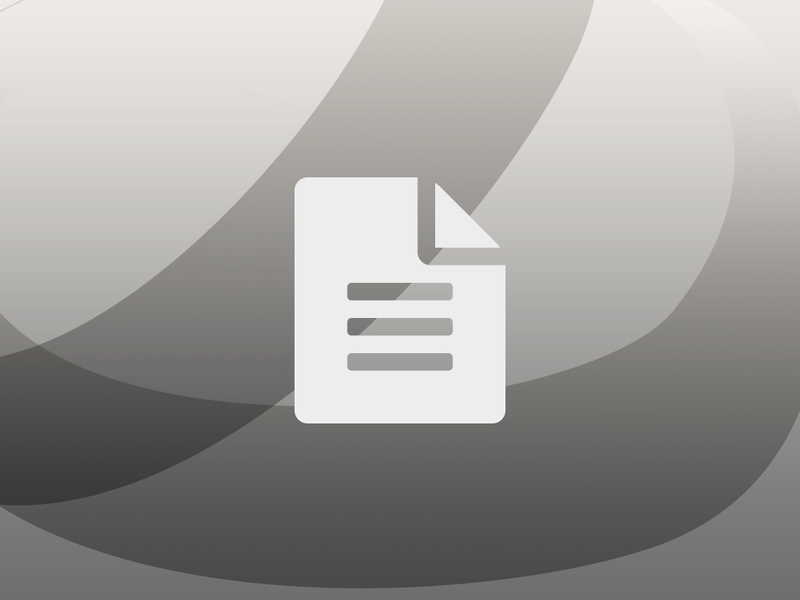 …..RTBU Qualified Drivers – Not Qualified to Drive? Just Say No! It appears now that Metro is threatening to force this through even though we’ve had feedback from the fitters and car builders that they are not interested in doing it. Metro is yet to respond to Dispute Notice. 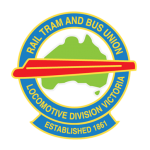 The Electrical Trade Union and the Australian Manufacturing Workers Union has confirmed with the Div Secretary that there is NO agreement and that they are aware of the Loco Div’s dispute notice with Metro Trains. Until that is resolved nothing will occur. We have formally written a Notice of Dispute to Metro against their decision to use Maintenance Staff to move trains. We are still waiting on a response as to setting up meetings to discuss the matter further. We have just received a letter from MTM regarding training of maintenance staff being scheduled without consultation with the RTBU. We have responded immediately advising we are in dispute. 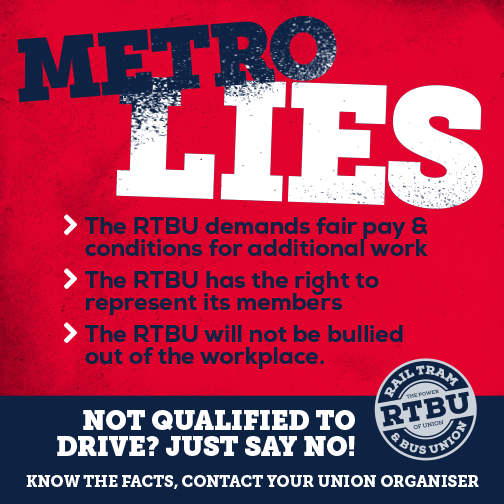 As a result of a discussion with State Secretary Luba Grigorovitch this morning 1/12/14, the Loco Division has come to the opinion that Metro Trains is attempting to misrepresent the situation within the Union. 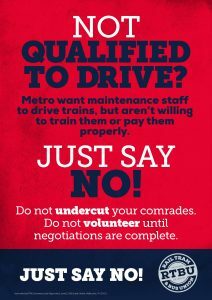 There is no agreement for any workpractice change despite what Metro Trains management announced in the workshops.